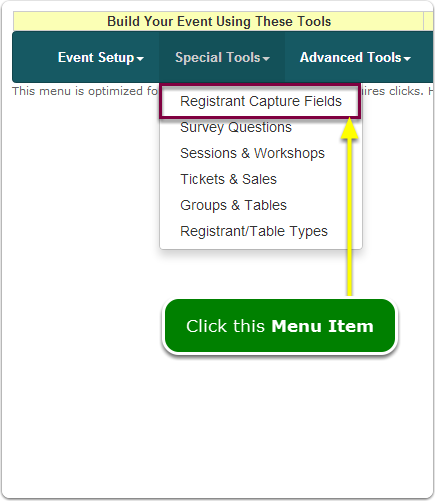 Help Documents - Version 5 Capture Registrant InformationHow do I turn on field visibility for Group Registration and Registration Types? 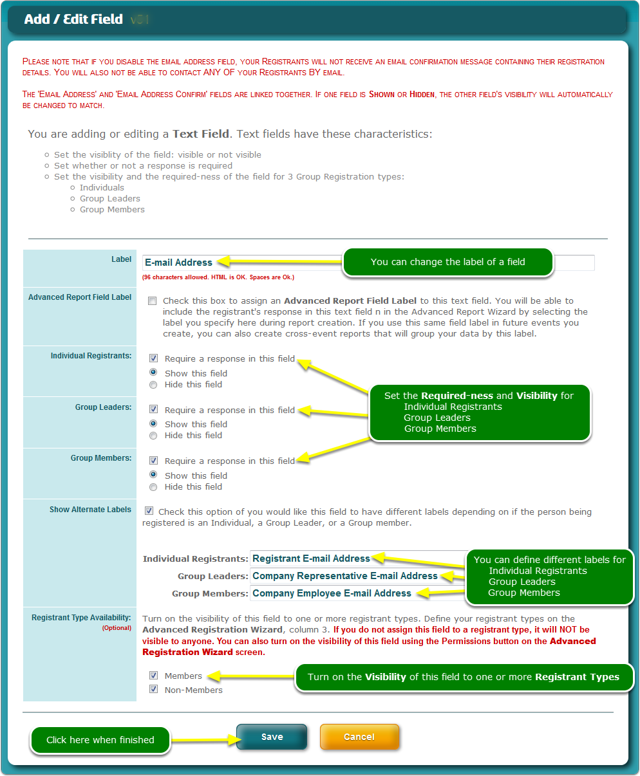 Prev: How do I change the required-ness of a registrant information field? 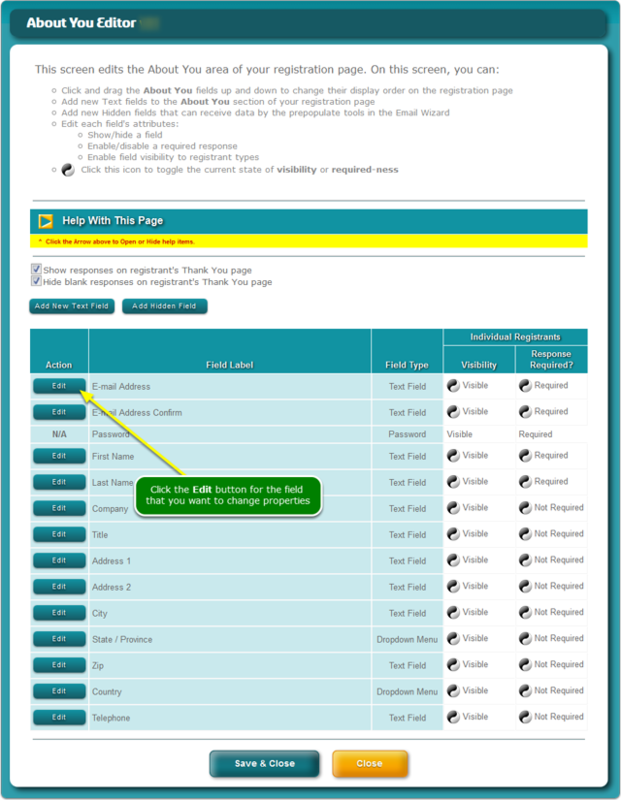 Next: Where do I access the Questionnaire Wizard?